The standard TTL termina­tion is a 2.6V reference, comprising a 360 ohm and a 390 ohm resistor in series across the power supply; the TTL line terminates at the junction of these two resis­tors. This type of passive termination allows for proper sourcing and sinking of the TTL line, and keeps the impedance of the line to a minimum to minimize pickup of noise and crosstalk. 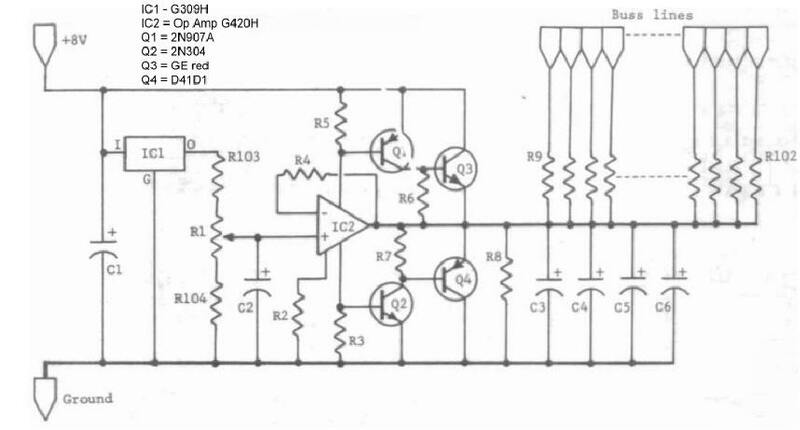 Each one of these term­inations, however also draws about 6.7 mA from the power supply. So, terminating 94 lines in this manner means a standby current drain through the terminators of well over half an amp! These passive terminations don't just put a strain on your power supply, they waste energy and create heat inside your computer's cabinet. I don't think we have to go much further to realize that passive termination is not such a good way to do things, although it's better than no termination at all.